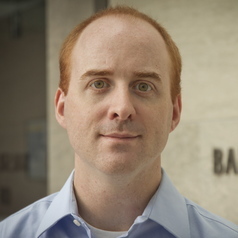 Andrew S. Thompson is adjunct assistant professor of political science at the University of Waterloo, senior fellow at the Centre for International Governance Innovation, and the program officer for the global governance programs at the Balsillie School of International Affairs. He holds a Ph.D. in history from the University of Waterloo, and is a specialist in the fields of international human rights, civil society movements and fragile states. Andrew is the author and co-editor of five books, On the Side of the Angels: Canada and the United Nations Commission on Human Rights (UBCP, 2017), Fixing Haiti: MINUSTAH and Beyond (UNUP, 2011), In Defence of Principles: NGOs and Human Rights in Canada (UBCP, 2010), Critical Mass: The Emergence of Global Civil Society (CIGI/WLUP 2008), and Haiti: Hope for a Fragile State (CIGI/WLUP 2006), along with numerous journal articles and book chapters. Andrew has appeared as an expert witness before the Canadian House of Commons Standing Committee on Foreign Affairs and International Development, and the Canadian Senate Standing Committee on Human Rights. In 2004, he was part of an Amnesty International human rights lobbying and fact-finding mission to Haiti. In 2016, he participated in a number of United Nations consultations on issues of reform of the global refugee protection system, and in 2017 was named Special Advisor to the World Refugee Council. Andrew currently serves or has served on the boards of a number of human rights organizations and post-secondary institutions. From 2011 to 2017, he served on the Board of Amnesty International Canada’s anglophone branch, taking on the role of Chair in 2015. Also in 2011, he was a member of the advisory editorial board of the Global Civil Society Report, the annual report of CIVICUS: The World Alliance for Citizen Participation. He currently sits on boards of the International Migration Research Centre and the Waterloo Lutheran Seminary.